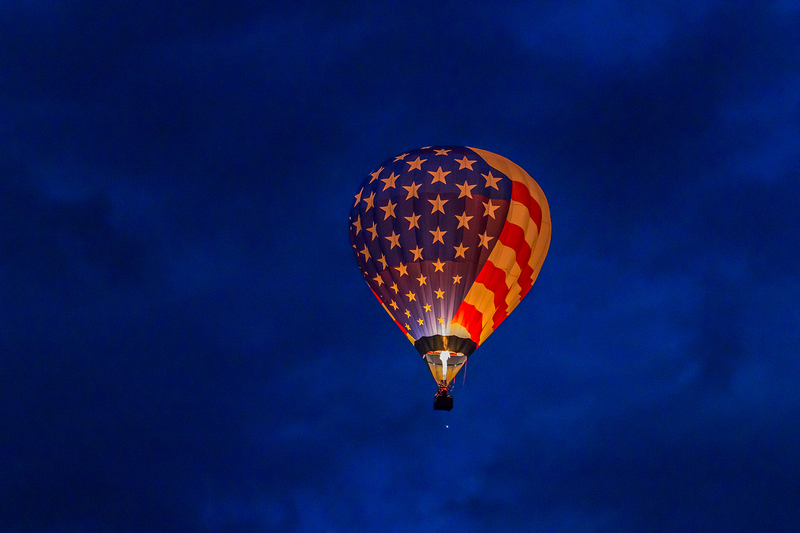 I am fortunate to live close to a photogenic world-class, week-long, hot air balloon extravaganza. It really is a photographer’s dream come true. I am, of course, referring to Fiesta. That’s the local shorthand for the Albuquerque International Balloon Fiesta (AIBF). The event begins in early October and takes advantage of our local microclimate box winds. I’ve written about this event in previous posts, like this. As long as I remain a resident of Albuquerque and the weather cooperates, I’ll continue to do so. 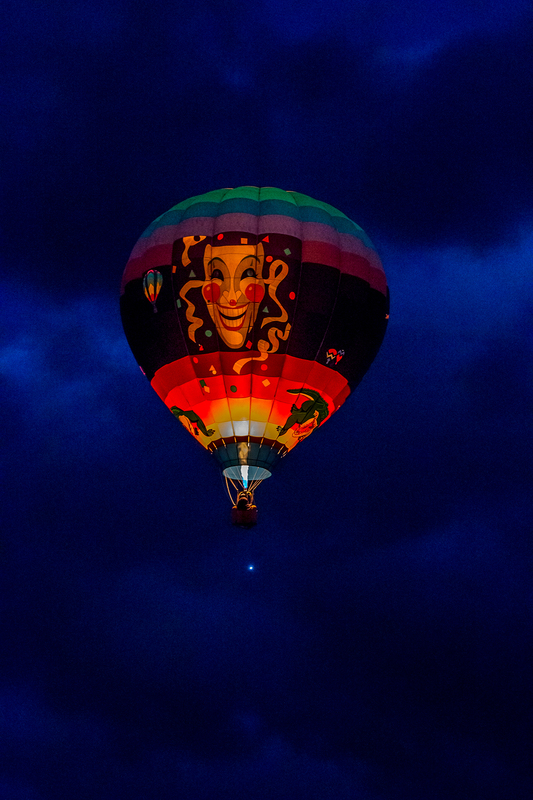 As you may imagine, Fiesta is Albuquerque’s high season. If you are thinking, “This is the year I want to go to Fiesta!” It’s time to start booking reservations for hospitality. In 2016, the Fiesta dates are October 1st to 9th! In the meantime, live vicariously through my lenses. Enjoy some of the recorded scenes and moments that captivated me. This year, I captured images of standard hot air balloons, special shaped balloons, street candids and stranger portraits. I will roll out the AIBF stranger portraits when I reach them in my chronological sequence of the 100 Strangers series. Subscribe to this blog, and all these items, plus all subsequent posts will go directly to your inbox. 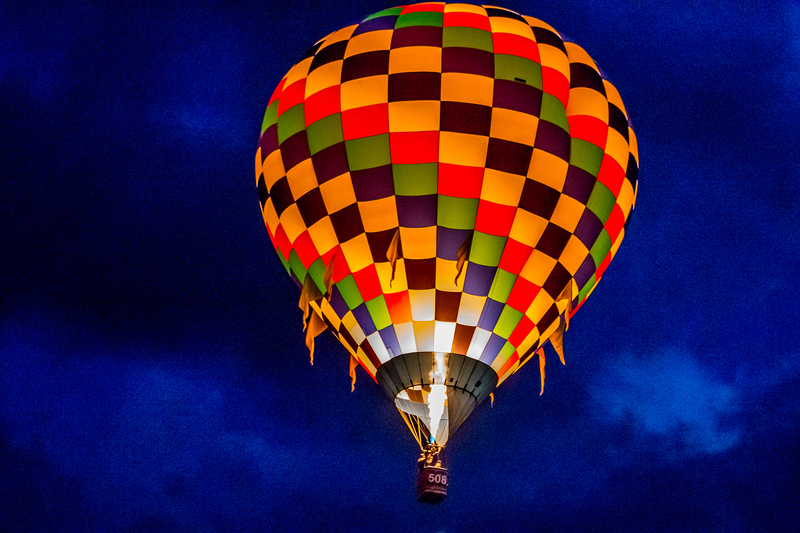 Consider this: to reach Balloon Fiesta Park to make these photographs, I had to wake up my family at 4AM to take the shuttle to the event before 5 AM to get our bearings on the grassy field in mostly utter darkness. Let’s begin with some REALLY early morning shots from Dawn Patrol; taken before the sunrise during the “blue hour”. 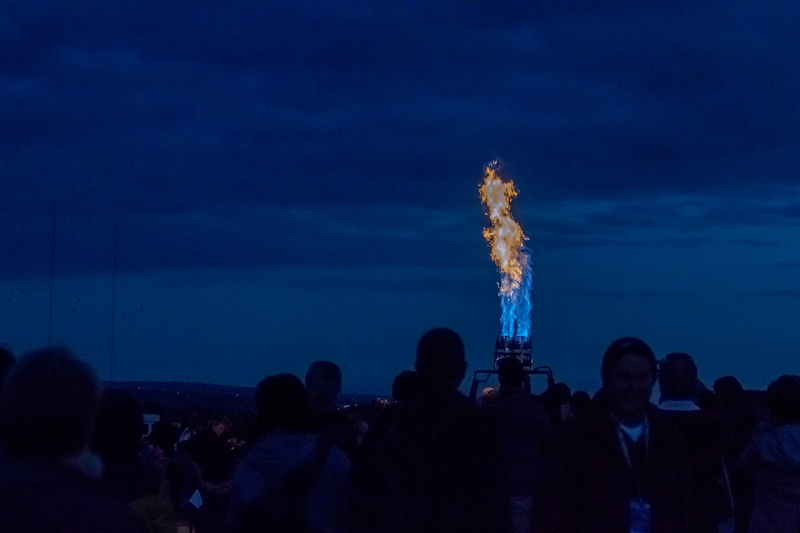 Spectators gather in the dark around balloon crews that are testing out the propane jets for the morning launch. You never know when to expect a blast. 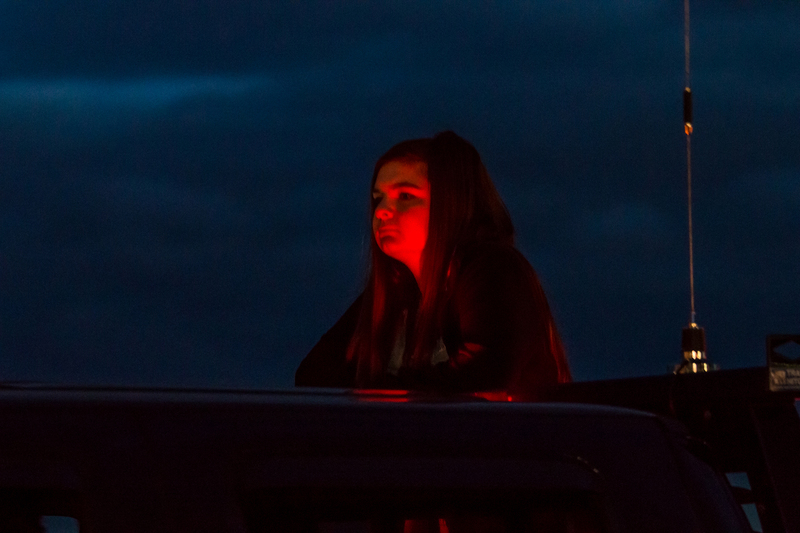 Passenger aboard a pickup truck enroute to a balloon setting up its basket and gas jets. 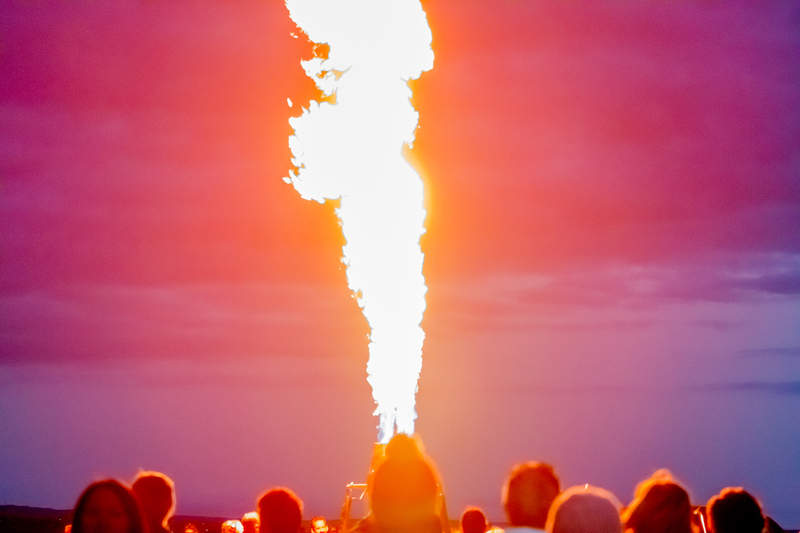 A propane flame lights up the darkness when a balloon crew tests the jets to prepare for launch. So happy to have stumbled upon this post! I used to live in both Santa Fe and ABQ! I miss the culture that NM provides. Great shots! Sophia, thank you so much for visiting and sending a comment! We really appreciate it.There is always more to see and enjoy. Come back again!